cook. clean. sew. (repeat. ): Giveaway! But who wants a depressing post??? Not me!! Look what I won in Mary's giveaway... aren't they all lovely?!?! 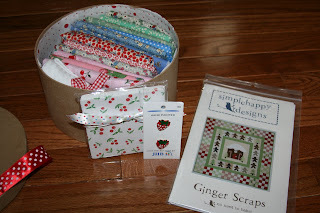 I thought I was just getting fabric, but Mary included all these wonderful extras... a towel to embellish, two cute strawberry buttons, and sweet little retro coasters. She even included this extra pattern (that she designed!) 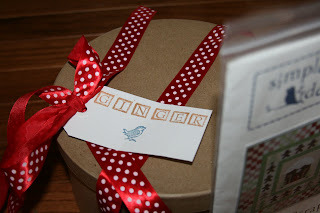 because, well, I need all things Ginger! :-) Thanks Mary, you were so generous! Everything is so cute! 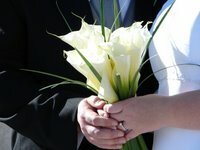 If you haven't been to Mary's blog, I would definitely add her to your google reader... her blog is beautiful and she has lots of lovely inspirations. My motto has always been one good turn deserves another, so I am hosting my own giveaway! Don't you love this apron pattern? This pattern will be so easy for you to whip up, especially since I am also giving you the fabrics to make it! These are the teal colorway from Tula Pink's newest line: Nest. They are manufactured by Moda... can you say scrumptious? Moda has the most beautiful looking and feeling fabrics. It won't be hard to win, as there are only about 5 of you out there reading my blog! All you need to do to enter the giveaway is leave a comment on this post with your email address before Friday night. On Saturday, one of my kids will pick a name out of a hat. Oh, I'm so in! I knew you'd do something lovely! the fabric is so cute, and I LOVE that apron pattern. I love the fabric. The pattern is also cute. So I am in. AH! Pick me! Rig the hat if you need to! Awesome giveaway...count the lurker in! Thanks Ginger for the all of the nice thoughts. So in the spirit of what-goes-around-comes-around ... count me in on your darling giveaway. Looks like you have more than 5 readers :o) What a lovely giveaway! Oh - gorgeous apron! Please choose me!! Love the colors! Such a great pattern too! Newbie reader here....love to make that pattern up! 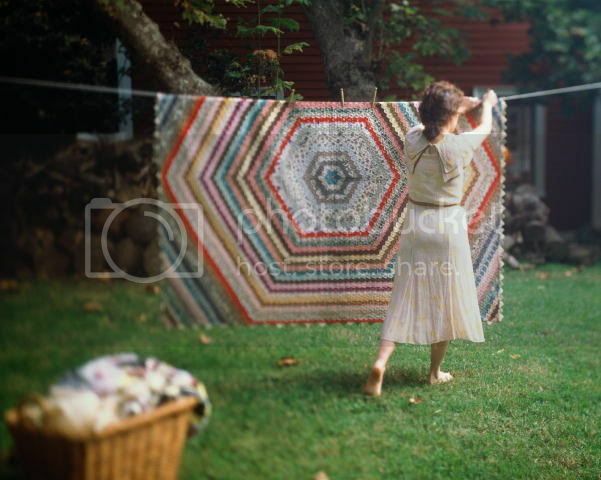 I've been eyeing up your quilts since I've seen the one you sent to Margaret! 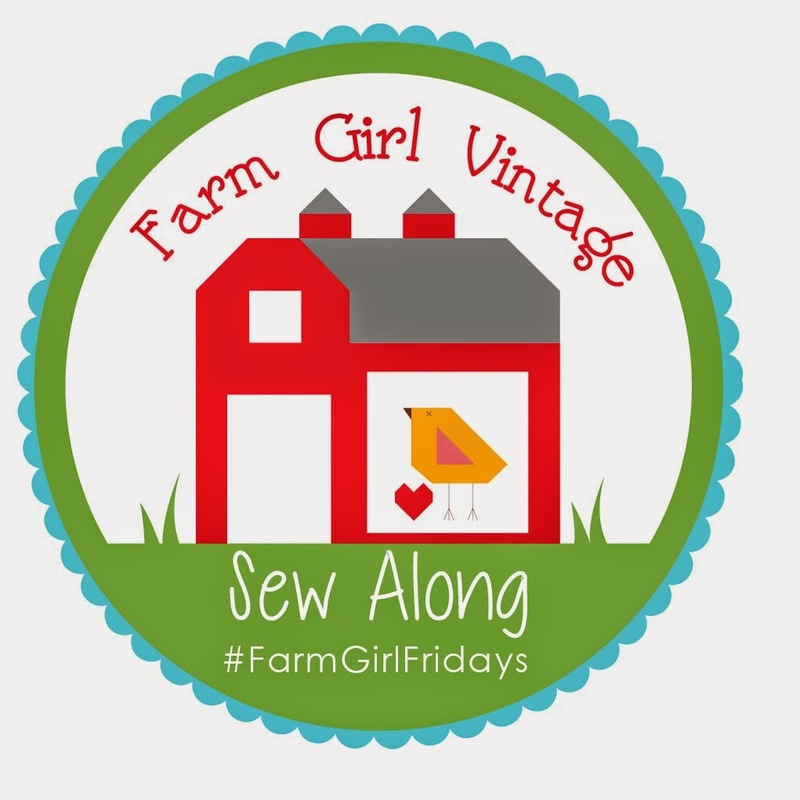 Next to a quilt, fabric is the best giveaway! Please include me into your drawing too!! I'm one of your 5 readers!! Congratulations on winning! Here is my entry for the pretty apron. This where you see us all come out of lurkerdom! Count me in, what a lovely thing to do! oh man! what a fun giveaway! your kids like me, right? definitely another blog stalker. i never enter giveaways, but why not?! 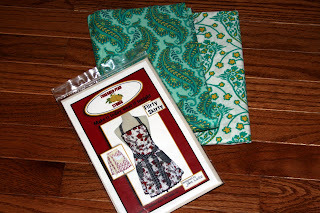 I'm not feeling lucky, but I love the pattern and fabrics! That green fabric looks YUMMY! Love it!